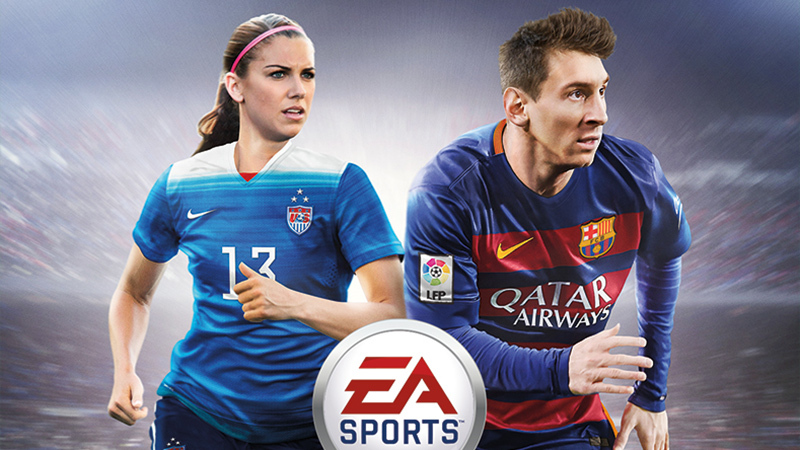 U.S. women's national team star Alex Morgan appears on the EA Sports "FIFA 16" cover alongside Lionel Messi. The release of this year's U.S. edition of "FIFA 16" with Alex Morgan on the cover marks a momentous cap to a pretty interesting summer. In my 25 years, I have never experienced such a buzz around women's sports. There have been moments: the founding of the WNBA in 1997; the 1999, 2011 and 2015 Women's World Cups; and the 2004, 2008 and 2012 Olympics, to name a few. But it's difficult to build a movement on a foundation of moments. Even though women and girls have seen increases in access to sports, it has not translated to explicit inclusion in other facets of sports culture -- a culture that now stretches beyond playing the game and involves hours of watching analysis on TV, attending events and, yes, playing video games. Three of the most anticipated game releases every year belong to sports game franchises: "Madden," "FIFA," and "NBA 2K." So for women and girls, putting Morgan on the cover of something as culturally significant as "FIFA 16" is a giant sign that says, "You are welcome here." Now, the game is definitely not perfect. I've yet to play it, but according to the reviews I've seen, there are only a handful of women's teams, which apparently will not be included in every mode of the game. And as much as I love Morgan, one could certainly argue that the heroine of the World Cup, Carli Lloyd, should have graced the cover instead. But there's also no turning back now. By putting women in "FIFA 16," EA Games has effectively committed to featuring women in future installments of its FIFA franchise. Imagine the outcry if "FIFA 17" does not include women. It would be a PR nightmare, not to mention terrible business. Women make up a sizable chunk of gamers -- about half -- so the removal of women from a game has the potential to alienate a lot of people. It's important to separate "FIFA 16" the game, created and distributed by EA Games, and FIFA the organization. Soccer's governing body is anything but inclusive of women. Julie Foudy said it best in her open letter to the organization: "[I]t's abundantly clear that [FIFA's] mission to provide football everywhere and for all really means 'everywhere and for men.'" And there is plenty of evidence to support that claim, including the lack of funding for women's soccer around the world (see: the Matildas' protests), allowing the women's 2015 World Cup to be played on artificial turf, and the absurd disparity in World Cup prize pool money between the men's and women's competitions. 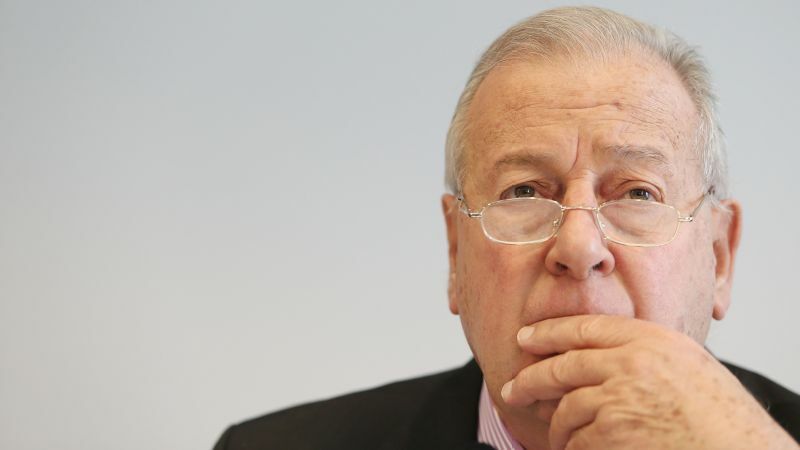 Add all that to FIFA president Sepp Blatter's being questioned again regarding corruption allegations and it does not look good for the home team. Including women in a video game may not force soccer's governing body to make systemic changes, but it's not trivial, either. Games teach us about sports. I knew who Zinedine Zidane was when he headbutted Marco Materazzi in the World Cup because I played "FIFA 2001" obsessively as a child. I know what a pop shove-it is because of the "Tony Hawk" games. I can recognize a Cover 2 defense and will audible at the line of scrimmage because of "Madden." Somewhere, a 12-year-old playing "FIFA 16" will decide the U.S. women's national team is their favorite team to play with, just as I did with France all those years ago. That person will know who Morgan, Lloyd, Megan Rapinoe, Julie Johnston and Abby Wambach are. That familiarity may drive that kid to attend a game, to watch the team on TV, to be a fan. That's the stuff of movements. And what's more, games allow a beautiful suspension of reality. 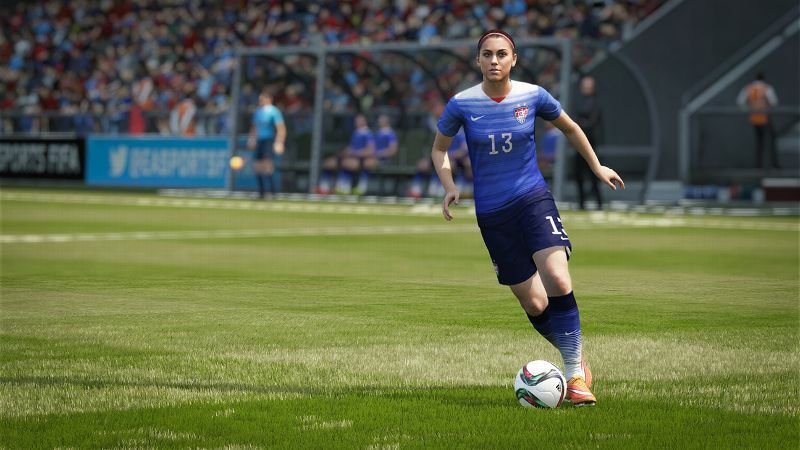 In "FIFA 16," the U.S. women can play the U.S. men without any real-life constraints -- no squabbling about turf, about funding, about biology. It's the beautiful game without sexist incursion. This is more than just a moment, but it's not a total breakthrough into mainstream consciousness, either. It's something in between, and could result in some amazing changes that resonate through other leagues as well. Katie Barnes is a digital media associate at ESPN. Follow them on Twitter at @Katie_Barnes3.